The LEGO games have come a long way from TT Game’s first LEGO Star Wars back on the PlayStation 2. With many adventures had and many to come, I think the first title that I have really looked forward to is this one. 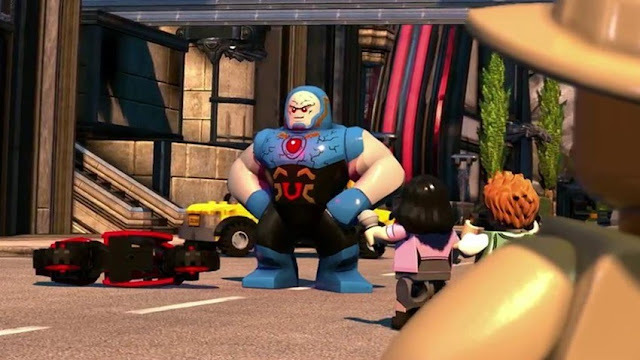 Being an original title in the LEGO Batman universe, you are finally NOT the good guys. In LEGO DC Super-Villains You can finally bring mayhem to the forefront and not as a byproduct of vigilante justice, but as part of your “day job”. Joker, Lex Luther, Clayface, Riddler, Penguin, Catwoman and Two-Face are just the start, as you can finally get to do the one thing that I’ve always wished for. Creating your own LEGO avatar! Being dragged to a desk by Commissioner Gordon, you are for the first time given free reign of designing your very own custom LEGO character. Poofy Johnny Bravo hair that matches my own? Check. Beard? Check. Whooshy cape that matches my personal colour scheme that’s all in black? Check, check and check. What else could you ask for? A katana and a voice option that suited what I would want to hear for the next few hours. Honestly there are so many mixing and matching opportunities that it took a while before I finally decided that I was done and that I would move on with the story and stage my very own jail break with Luther. Now, unfortunately while you get to create your very own character, it isn’t just “your” story. You have to share it as right off the bat you are given control of Joker and Harley before moving onto other very iconic villains such as Clayface, Riddler and Scarecrow before moving down the line of others. Without getting into too too much for spoiler reasons, the reason that you start to get away with a lot of what you get to is because the Justice League are a bit occupied with other matters and are not there to foil you for the umpteenth time! So what better time for your band of villains to strike? There isn’t one. 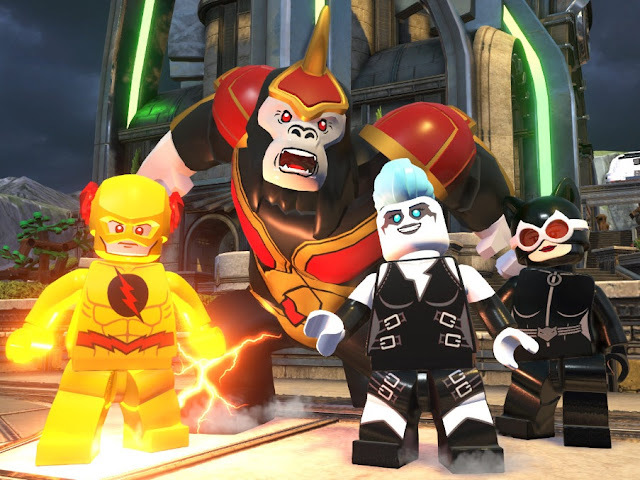 As LEGO games are a good deal about light stories with slapstick humour and a good deal of interactive environmental gameplay, I feel like with DC Super Villains they nailed the first two but the as far as the third is concerned, the gameplay didn’t feel as refined as previous entries. The controls and the character movement are as smooth as they've ever been, they've given the ability to dodge left or right with the shoulder buttons... hell there's even a cellphone for selfies. Selfies!!! But unlike a lot of previous entries there's no quick way to swap between playable characters. You can spam the R1 to cycle or you can hope that the triangle button works while you're directly facing who you want to swap with. There's no option to simply bring up a wheel and swap. Adding to this is that some abilities are also tried to the triangle button, meaning if you don't press it just right, you're swapping characters. Add in that the driving of vehicles, which feels either like molasses in a Canadian winter, or approaching the speed of one of the Flashes. With all the issues in navigating by vehicle, it's sometimes faster to just run around, wasting what should be one of the game's most awesome features. The other factor that didn't quite jive for me is that a lot of TT’s LEGO games have been designed in a “straight line” littered with puzzles to move forward with plenty of collectibles within. This design has always imbued a sense of accomplishment as you got to continuously move forward regardless of how much or how little that you’ve actually done. This time around you don't have a linear path, but instead move around hub-like locations, and it's difficult at times to tell what you need to do to move things forward. While this approach has been great conceptually, it made the stages feel a lot more empty because while you know you’re missing something, you have no idea as to what. The above gameplay issues aside, the writing and the humour was fantastic. All the characters are also lovingly voiced over, aside from your own made villain, who’s even made fun of for being “silent” when everyone else can talk. The visual cues and the facial expressions just sell it. 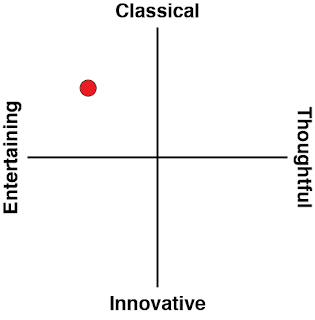 It’s light, it’s fun, and again, I have to emphasise how awesome it is that you’re now the bad guys! 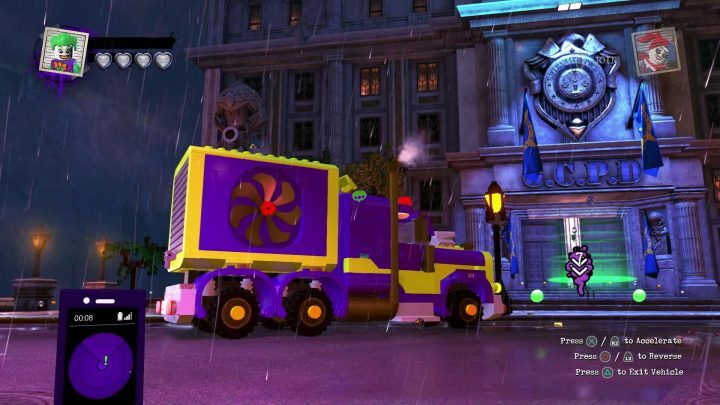 LEGO DC Super Villains is another example of how TT Games haven’t just sat back on its LEGO titles to simply release “just another game” with a reskin. It doesn't always work, but the developer has tried to do something new while also keeping elements of previous titles that worked. 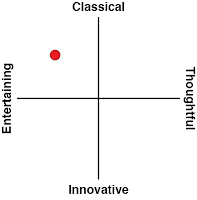 Add in the iconic slapstick humour and you're in for a reliably good time.